YHS Junior Cross-Country Team Places Second at the ISEA Cross-Country Championship! Click here to see the photos. Click here to watch a video. Early in September each young Tiger made a commitment to train not only to improve her overall fitness and endurance, but also to develop the mental toughness or ‘grit’ needed to compete in cross-country. 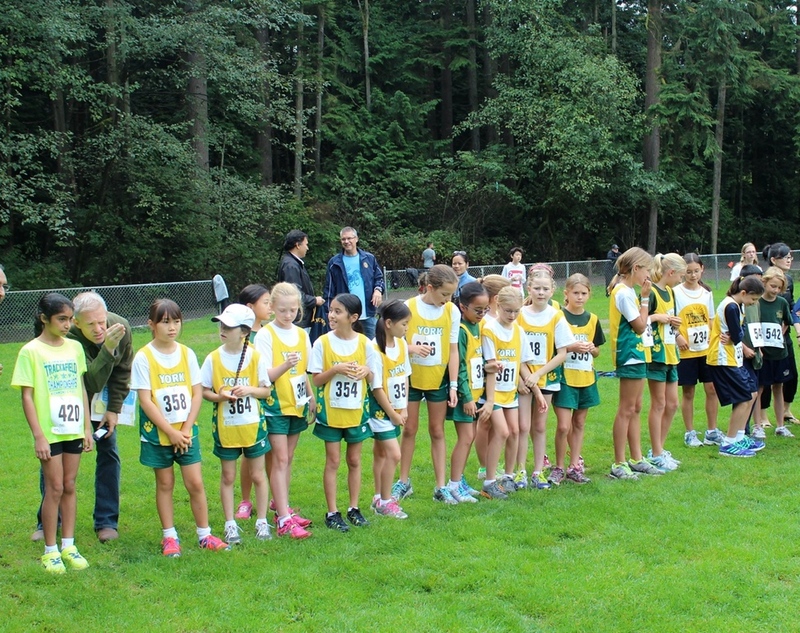 Training involved coming to three practices each week and competing in races on Saturdays throughout the Lower Mainland. Supported by a huge team of staff coaches, parent assistants and supportive families, the Tigers were given excellent conditions to focus on their training and to be at their best for the ISEAs. October 30th was a day to celebrate and compete. Numerous girls achieved personal bests, many received ribbons awarded to the top runners in each grade and all gave their very best as they competed for their school. Each Tiger played an important role in scoring points for their school both during their race and as they stood on the sidelines cheering for their fellow Tigers. The school team should be very proud of their second place finish – a great achievement against a highly competitive field of athletes! 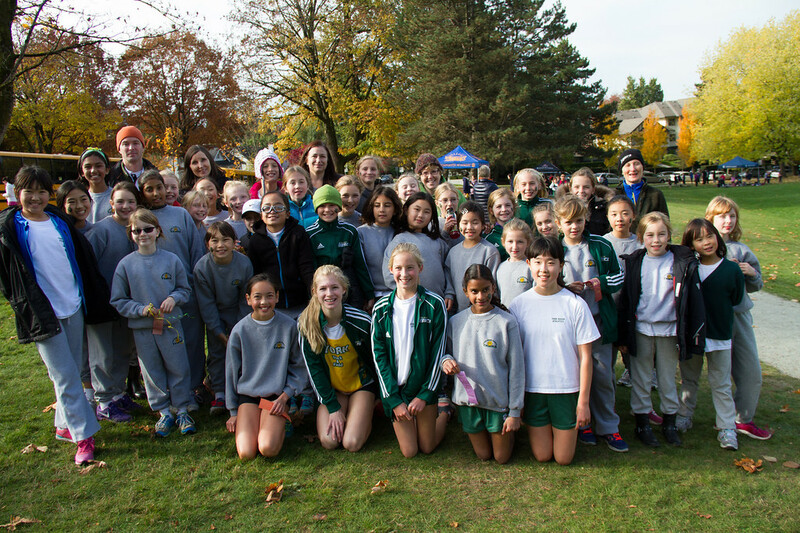 In the individual grade division, the Grade 4 and 7 teams each received a second place finish. Congratulations to the individual runners who received ribbons: Abby and Julia in Grade 3; Sophie F. and Sophie K., Laura in Grade 4, Sophie in Gr. 5; Samantha, Lauren, Kathryn, and Alison in Gr. 7. Many thanks to the staff coaches, parent helpers and the support of all families! Staff coaches: Kimberley Ryerson, Lisa Tomlinson, and Kiera Pearkes from the Little School; Danielle Neer, Sandra Richardson, Madeleine Abbott, Monica Regan, Celine Foucher, Sheilagh Martin, Lela Ling, and Jason Camp from the Junior School; Alison Waterhouse from the Senior School and Karm from the Media & Technology Department. Parent helpers played an active role in coaching and supervision throughout the season: Kathryn Palumbo, Gail Ooi, Jonathan Aitken, Brent Marykuca and Gavin Forsyth. Special thanks are given to Karm for her beautiful photos highlighting the ISEAs and also to Kathryn Palumbo for producing a fabulous iMovie. Go Tigers! Previous PostPrevious Sr. Volleyball: LMISSAA Champs!